Interesting facts: Audrey was the muse for designer Givenchey. She was formally trained in ballet but only made two musicals her entire career. She was also awarded the Presidential Medal of Freedom by President George H. Bush. She was nominated for five academy awards but only won one for her performance in Roman Holiday, in which she had no prior acting experience. 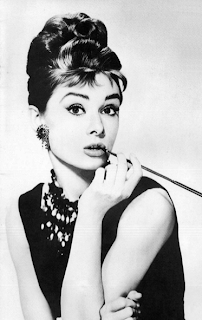 Audrey spoke five languages: English, Dutch, Spanish, French and Italian. In My Fair Lady, she wasn't actually singing - another woman's voice was dubbed in place of hers.